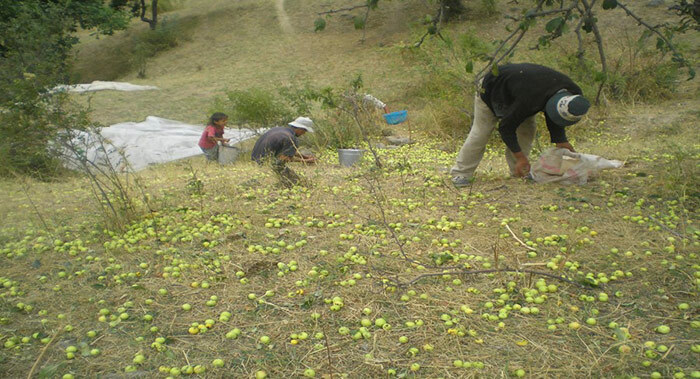 Though the Rasht Valley of Tajikistan may not be the absolute center of origin for apples, it has for a very long time been called the Valley of Apples as it is home to numerous heritage fruit varieties cultivated over many centuries. With this historical culture as its context, a Tajik NGO called Public Organization Rushnoi is establishing Kuhsori Ajam, an Apple Park and Botanical Garden located in Jasfr Village, that also houses a cultural museum and meeting center for local fruit growers, village residents, and visitors. 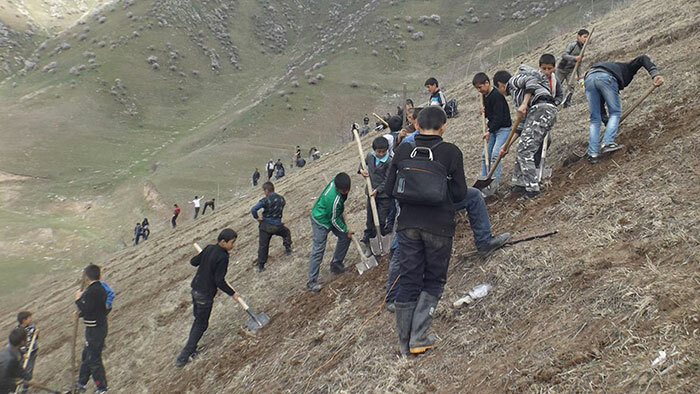 Public Organization Rushnoi’s strategy for learning at Kuhsori Ajam is to use traditional rituals, folk knowledge, cultural heritage and values, and the collection and cultivation of local horticultural seeds and plants as educational tools. All of Rushnoi‘s work is aimed in the long term to fully restore the agrobiocultural diversity of the Rasht Valley. Kuhsori Ajam is home base for this work. This year, Rushnoi is working with 13 local, master fruit farmers to research and collect fruit tree seeds and seedlings. They will plant and graft the heritage varieties they collect using traditional methods and make these varieties healthier and more accessible to farmers to grow, process, and market. 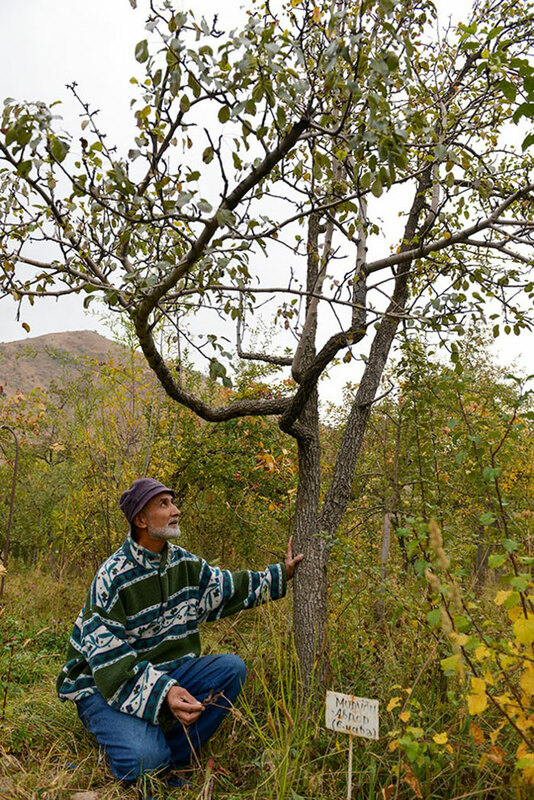 The 13 master fruit tree farmers are sharing their traditional knowledge and skills with 2,100 other people in the Valley of Apples including members of 25 rural women’s groups. The cultural environment of the Rasht Valley is conducive to a place like Kuhsori Ajam. Here people take the words, phrases, and sayings of their ancestors as sacred, and they observe traditional wisdom every day. Expressions like “respect the Earth as you do your mother” and “kiss a seed, it fills the granary” are common in Rasht Valley. So is the idea that eating an apple each morning – or simply saying the word “apple” – will bring health to individuals, families, and communities. 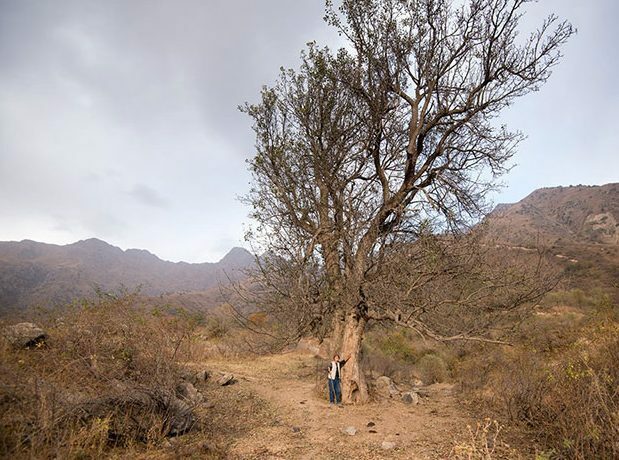 These are communities who appreciate the dignity of traditional methods, knowledge, cultural heritage, and honest labor, and whose ancestors taught that “only the jeweler knows the dignity of gold”, just as an apple grower knows the dignity of their fruit trees and the land where they grow.